Creating valuable content experiences for customers wouldn’t be possible without integrating SEO best practices. 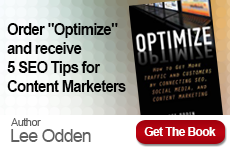 But sometimes it can be difficult to understand how to best optimize your content for your customers’ needs and interests. 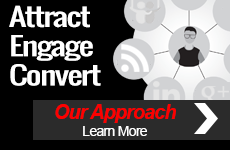 Learn helpful tips and insights to better leverage SEO within your content planning and creation efforts from the TopRank Marketing SEO Team. B2B Marketing Ignite 2017, happening in London later this week includes top B2B marketing experts from all over the world. Here are 12 tips from a handful of the speakers from this year’s conference that discuss insights on ideas, strategies and tactics that are sparking sales, lead nurtures and ROI performance metrics for B2B brands. Ann Handley, Chief Content Officer at MarketingProfs, is one of the most accomplished marketers on the planet. In this interview, she shares insight into her success, essential tips for marketers and how to create memorable content experiences for your audience. Neil Patel Blog: Content or Links: Which One Should You Focus on First?